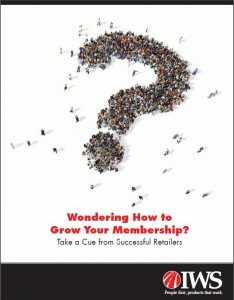 Wondering How to Grow Your Membership? The credit union industry in 2016 enjoyed its fastest growth rate since 1986, with a 4.1% increase in membership. The outlook for 2017 is also strong, thanks to factors including low unemployment and high consumer confidence. Yet, competition among credit unions for new members remains fierce. That begs the question – How do you set yourself apart from the other credit unions, banks and even online financial services providers? This is a short excerpt from the white paper, Wondering How to Grow Your Membership? Take a Cue from Successful Retailers from IWS. To download the white paper, please fill out this form and we will send you an email with a link to you shortly.